They mean the same thing! Baptism means the service in which a person is baptised. Christening means that the person is made part of the body of Christ. Whatever you call it, you are choosing to make a commitment to God. If it is a baby, the parents and godparents are making the commitment on the child’s behalf. You commit yourselves to believing in God and bringing your child up to follow Jesus. You can be baptised at any age, as an infant or as an adult. Sometimes the baptism of a child prompts a parent or would-be godparent also to choose to make their own commitment and be baptised. Though you are making promises for your child, they will be able to confirm those promises for themselves when they are older. They can attend a short course of study and then be Confirmed by the Bishop. If an adult is thinking of being baptised, we encourage them to be confirmed at the same time. 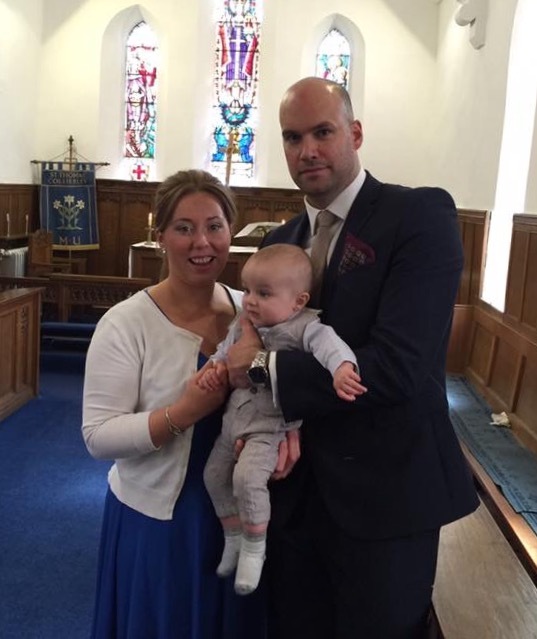 Choosing Godparents: godparents must be over 16 and be baptised themselves. We recommend a maximum of four. Godparents make promises on the child’s behalf. They will take an interest in the child’s spiritual development – this could include reading them bible stories, praying with them and teaching them to pray, and taking them to church sometimes. The Baptism / Christening may take place as part of a normal Sunday service, but are usually after the Sunday Service at 11.30am. Cost: there is no fee for baptism, though donations are welcome. If you pay tax, please ask for a Gift Aid form or envelope – we can claim the tax back from any donation, which increases the benefit we receive. If you would like to be baptised/Christened yourself or you want to bring your child for baptism, you will need to contact the Churchwardens. They will arrange to offer you some more information. If you wish to go ahead, a suitable date will be agreed. Getting married in church is special. You make your vows to each other before God as well as in front of your families and friends. We will say prayers for you, and you and your marriage will be blessed by God. It is cheaper than you think. A church wedding can often be less expensive than a civil ceremony. The cost of a wedding at St Thomas’ Church in 2016 is £592. This includes, booking meeting, service preparation with the couple, and rehearsal. It covers the registration of the marriage and certificates. This cost even includes heating the church, an organist and someone to ensure that your guests are taken care of upon arrival, during and immediately following the service. You are entitled to get married in church if you live in the parish or have lived in the parish in the past, if your parents or grandparents were married in the church, if either of you were baptised in the church or confirmed from there, if you or your parents have attended church regularly. When you come and talk to us, we will see if you have a “qualifying connection” that enables you to get married in the church. Otherwise, you could attend church regularly (at least once a month) and have your names entered on the electoral roll of the church – that would give you the right to marry in this church. If either of you have been married before, you will need to speak to the vicar. Marriage in church is possible, but we need to go through some things with you. If you would like to talk to us about getting married in St Thomas’ Church, please get in touch with the Churchwardens. 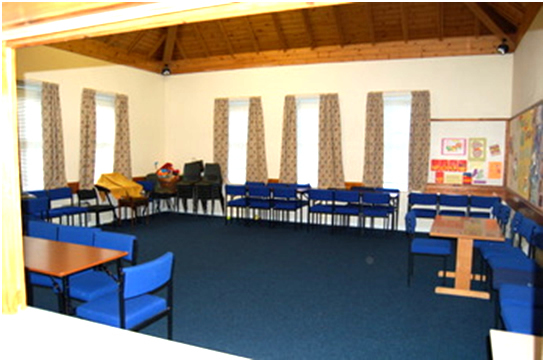 The Community Room is attached to the rear of the church providing an excellent room which can be used for a variety of uses. 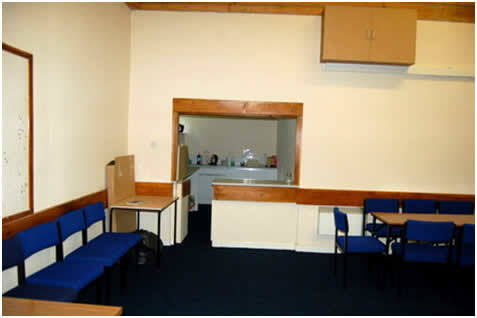 It also has toilets and a kitchen area. 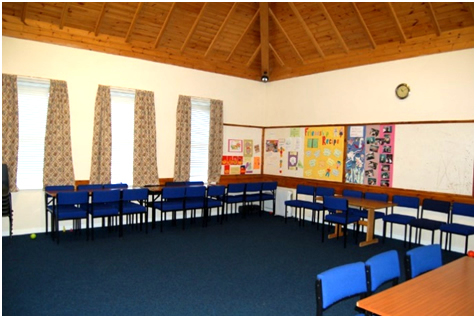 St Thomas’ is looking to let this room be used for the wider community as a function room, and would welcome you to come and view. With Messy Church we are trying to be a worshipping community of all ages, centred on Christ, showing Christian hospitality – giving people a chance to express their creativity, share fellowship and have fun in a church context. 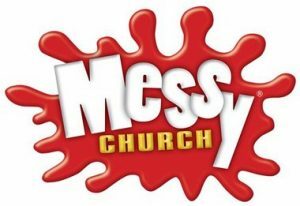 Messy Church meets on the first Sunday of the month between 3.30pm and 5.30pm at the church of St Thomas. Messy Church is for families to have the opportunity to come together for Messy Crafts, Messy Worship and Messy Food. It is suitable for children of all ages and it is expected that at least one adult accompanies the children. There is an open invitation for all families – all are welcome whatever church denomination you come. For more information contact us via the churchwardens by phone, email or via the Messy Church Facebook page. St Thomas Mothers’ Union has been meeting for over 90 years. We meet on the first Monday of the month at 2pm in St Thomas’ Church & Community Hall. The Mothers’ Union is a worldwide organisation which holds supporting marriage and family life at the heart of its core values. It is a charity which reaches out in love and charity to support families throughout the world; especially those who find themselves in difficult circumstances. St Thomas’ Church is always there for you through all the stages of life. A funeral marks the end of a person’s life here on earth, when family and friends come together to express grief, give thanks for the life lived and commend the person into God’s keeping. Funerals can be small, quiet ceremonies or larger occasions; but whatever their nature we offer a professional service sensitive to the needs of the family. At St Thomas we believe that God’s love and power extends over all creation. Every life, including our own, is precious to God. Christians have always believed that there is hope in life and that there is new life in Christ after death. As the parish church, we are here for you at a difficult time. For families who do not wish to come into church for the funeral service, the minister is able to conduct funeral services at the crematorium. Arrangements are usually made through the Funeral Director of your choosing but if you wish to contact the church directly this is fine as well.